My sister asked me recently if I would make her a couple of cards for her friends birthdays. One was going to be 20 and one was going to be 21. 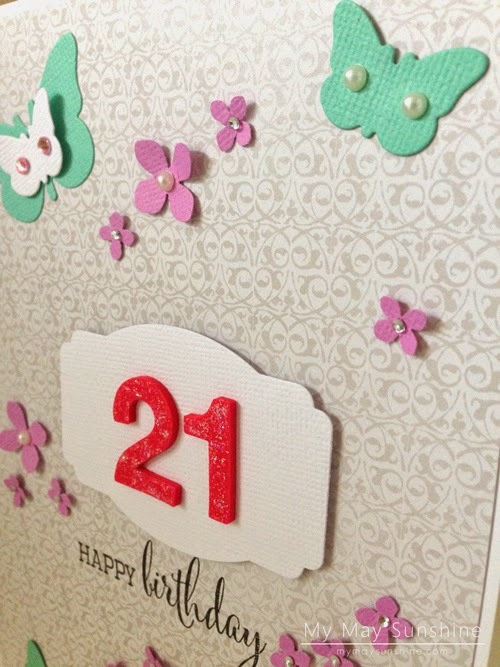 For the one that was going to be 20, I used a piece of patterned paper that had some pretty flowers on already so didn’t need to do to much to the card. 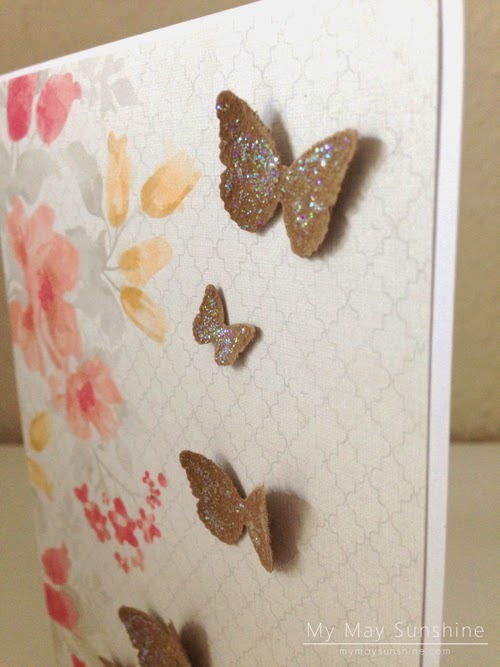 I just added some butterflies that I added some Stickles glitter to and stamped a sentiment from Clearly Besotted. I decided to put the butterflies on some foam dimensionals so that they pop up a bit. Paper – My Minds Eye Follow your heart | Stamp – Clearly Besotted – Fabulous Fuchsias | Butterfly – Martha Stewart 3 in 1 butterfly punch | Glitter – Stickles. 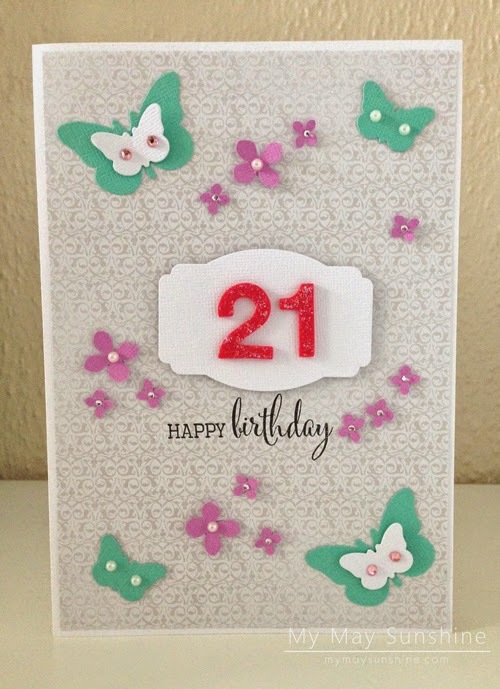 For the friend that was going to be 21, I decided to put a large number 21 in the centre as it’s a special birthday. I added some butterflies and flowers and added some gems and pearls to the centre of them. I put the flowers on some small glue dots so they could stand up a bit and decided to stick the large butterflies flat and the small ones on dimensionals. 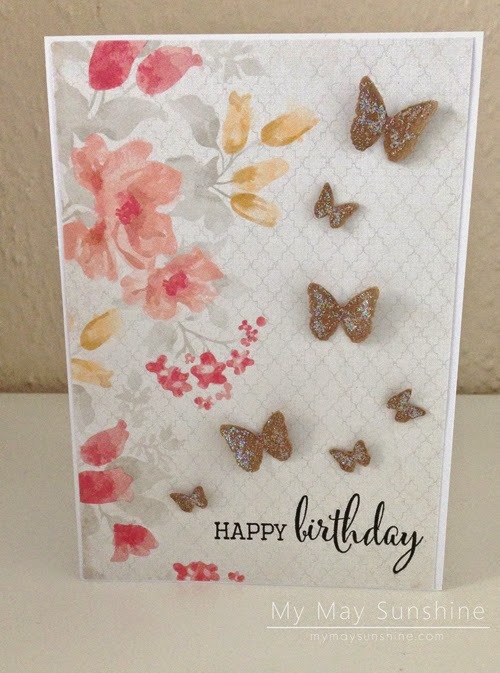 Paper – My Minds Eye Follow Your Heart | Stamp – Clearly Besotted Fabulous Fuchsias | Butterflies – Clearly Besotted | Flowers – Martha Stewart Hydrangea punch | Label – Clearly Besotted Lovely Labels | Gems and pearls – Hobbycraft.